Is Extra Virgin Olive Oil Good to Put on the Skin? 3 Is Extra Virgin Olive Oil Good to Put on the Skin? When it comes to skin care, less is not always more. Some skin types may benefit from specifically crafted treatments, serums or masks. However, three steps are essential for all skin types (cleansing, toning and moisturizing) and, in order to be effective, they must be done properly. These are some tips I have learned that can benefit any skin type and ensure that your basic skin care routine is effective. While cleansing is an essential skin care step because it remove germs, dirt and excess oil, some cleansers may be too harsh and may end up compromising the thin film that protects the skin — the acid mantle. When the acid mantle is compromised it leaves the skin vulnerable to a number of skin disorders. Do not use cleansers that contain surfactants and leave your skin feeling squeaky clean and tight, like most foaming cleansers. Instead, opt for more gentle formulations like cleansing balms, cleansing oils and creamy cleansers. A few good cleansers to try are: Acure Organics Sensitive Facial Cleanser Argan Oil + Probiotic (available at Whole Foods), Pai Camellia & Rose Gentle Hydrating Cleanser, and Odacité Gentle Rejuvenating Cleanser. After cleansing, the skin’s surface is slightly imbalanced. Using a balancing toner helps the skin to quickly adjust and restore its pH level and prevent dry skin from feeling more dry and oily skin from becoming more oily. Make sure that you have properly removed the cleanser from your skin with a warm, wet washcloth and then pat-dry your face. 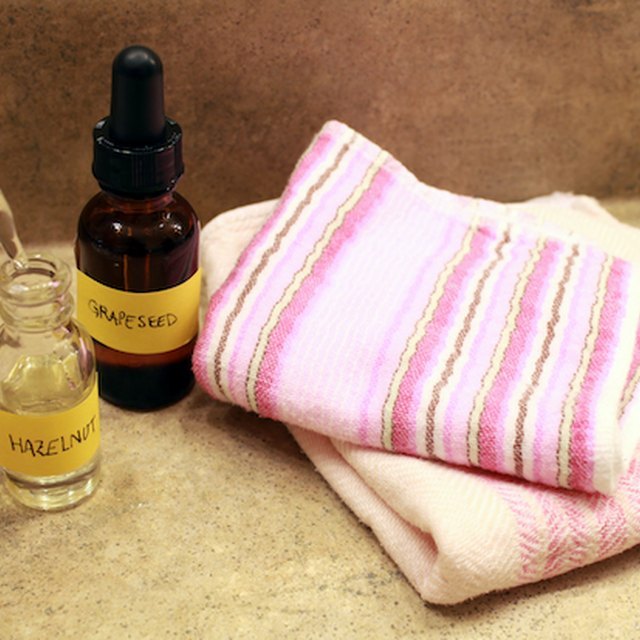 Spritz your face with your toner or apply with a soaked cotton pad, but be sure to gently pat it all over your face. Some good toners I have used and find to be effective are: YULI Cocoon Facial Elixir (great for sensitive/delicate skin), Kahina Giving Beauty Toning Mist (for combination skin types), Vered Organic Botanicals Herb-Infused Toner (for blemish-prone skin types), and Elizabeth Dehn for One Love Organics Vitamin D Face Mist (for dry skin types). A face mist also prepares the skin for the next step in your routine, your moisturizer, face oil or serum. Face oils have become quite popular lately, as most people are learning about their benefits. No matter what your skin type is, you can use and benefit from facial oils, even if your skin is oily. The best way to apply them is after cleansing and toning, while your skin is still damp. Rub a few drops of oil into the palm of your hands and then gently pat it, not rub it, into your skin until it is evenly distributed. If you have combination/oily skin, try argan oil, which a study has shown to be sebum-regulating. If you have dry skin try marula oil. If you have aging or sun-damaged skin, try rosehip oil. This is something I wish I had learned when I was younger. The skin around the eyes is thinner than the rest of the face and it is more delicate. When you apply your eye product, whether it is a cream, gel or serum, make sure to be extra gentle and use only your ring finger to massage the area because it is typically the weakest finger and therefore more gentle. Pat the product into the skin or do a soft massage. If you choose to massage, make sure to massage going inwards under the eyes (toward the nose) and outwards on top of the eyes(counter-clockwise), as it improves circulation.